Now, let’s discuss about the feeding requirements for pregnant dog! Pregnancy takes a great toll on the expectant mother’s body and as such, she will need more nutrients. Those foods developed to promote growth, such as puppy food, will provide these nutrients and are recommended for many dogs in many brands. With this being the case, many of the top twelve brands of dog food promote their puppy food for pregnant dogs. Of course, take the mother to a veterinarian for regular check-ups during pregnancy. It is very important to make sure your pregnant dog has a balanced diet during these months and the months following for the mother and the puppy’s sake. Puppy chow is often recommended for pregnant dogs as it has added nutrients that cater to a growing and changing body. You will also have to feed your pregnant dog more than once or twice a day as she will require more calories. If your dog is not prone to weight gain then feed her as much as she wants. However, keep an eye on her weight, as overfeeding during pregnancy is a common problem. For the first six weeks, her food consumption should not differ all that much from normal; it is only after the sixth week that her appetite will increase. If the mother does not want to eat during the middle of the pregnancy, try moistening her food and give her positive encouragement to eat. Since the dog is going under so much change both emotionally and physically, she will need additional support. Along with a fortified diet, exercise is vital. Exercising will keep the mother in top shape which will help the mother be able to properly provide nutrients and care to the puppies. 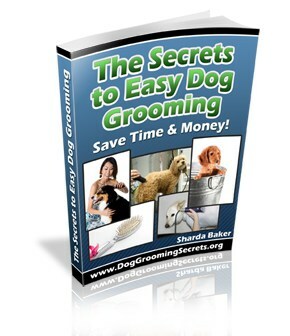 The foods in this book may not be specifically directed for pregnant dogs, however, they are the top of their kind and will either provide the dog with the nutrients she needs or give you some idea of what to look for in brands. Always consult with your veterinarian regarding any choices you make for your dog especially during pregnancy. It is important to consult with your veterinarian concerning any food for any life stage. Puppies, adults, seniors, and pregnant dogs all require their own specialized diets in order to maintain proper health. While the information provided in this section meets all AAFCO standards, remember that only you and your veterinarian know your dog well enough to determine what is proper to meet the dietary concerns of your pet. The foods listed here and in the book overall, represent the best in commercial brands along with a few others in order to give you an understanding of how wide reaching and important dog nutrition is. Make proper determination of what to feed your dog and how much by taking in such variable as age, weight, life stage, and medical conditions. 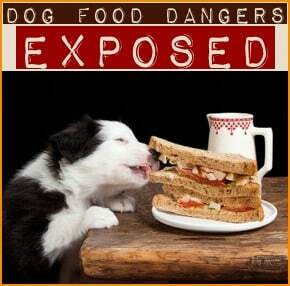 Pay close attention to your pet’s eating habits and consult a veterinarian whenever a concern presents itself. Remember, your dog is your best friend so treat him or her with the respect and care they deserve. West Highland Terrier Male or Female?